Home - Best Job in the World… Meet George. Best Job in the World… Meet George. 7. How did you get into it? I did the 13 week Ticket to ride South Africa trip, during which I passed the surf instructor course in Durban. After I came home I did my hours (you have to do 20 hours shadowing another instructor) at the Perranporth surf school and haven’t looked back since! 8. What do you love about your job? Meeting so many people and seeing the looks on everybody’s faces when they stand up and ride their first wave! 10. What is the hardest thing you’ve had to deal with yet? Keeping a group of 40 school kids in between the flags!! 11. What are the most common mistakes the average surfer makes? Looking down at your feet or board rather than watching the wave and letting go to early before standing up, keep those hands down! 12. Do you have any basic tips for the average surfer? Practice your pop up over and over, even when you’re out of the water! Find something with a straight line and pop up over it again and again to practice getting your feet in the right place. You can do this on the beach by drawing a line in the sand just before you go in for a surf! 13. What are the three best things about Perranporth? The falafel van! The pasties! The beers! This entry was posted in News, Surf School, Surfing England and tagged best job in the world, surf coach, surf instructor. Bookmark the permalink. What is an iAM Band? Free Surf Lessons for Dad! Best Surf School in Perranporth, Cornwall? 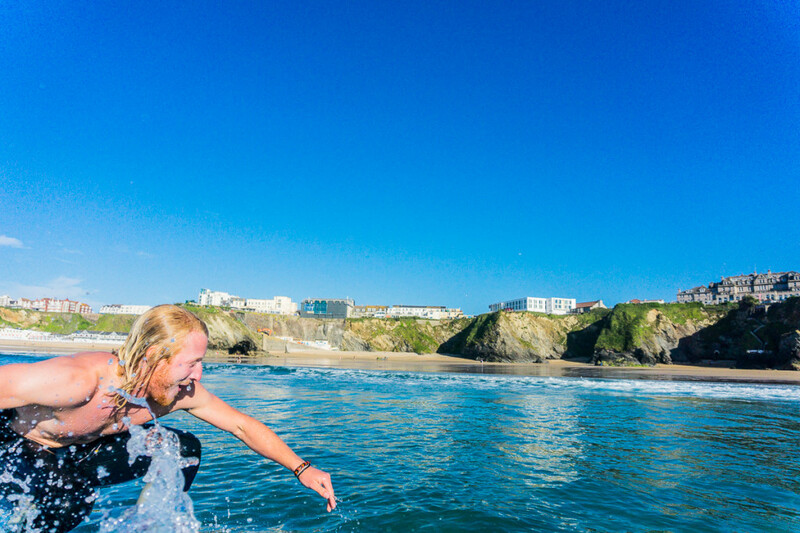 "The Best Surf and Stay in Newquay"
Looking for the best surf school in Newquay? How Young Can You Start Surfing? Errant Grom Club is Back! Travel Tips: Surviving the airport layover! The Perfect Pre-Surf Warm Up! The drop-in rule: Don't burn your fellow surfers! RIP CURL PRO BELLS BEACH FINAL! Errant MD goes back to School!